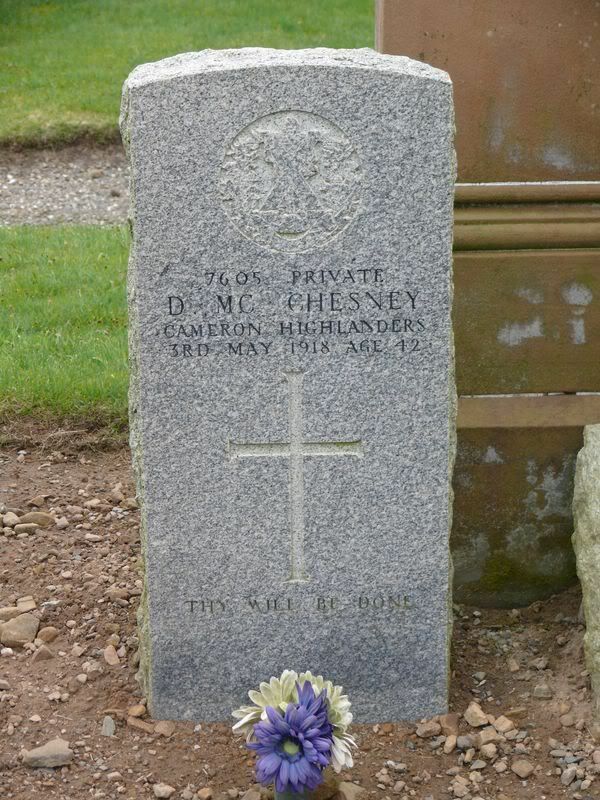 This is a private stone on a CWGC listed grave, now almost unreadable. 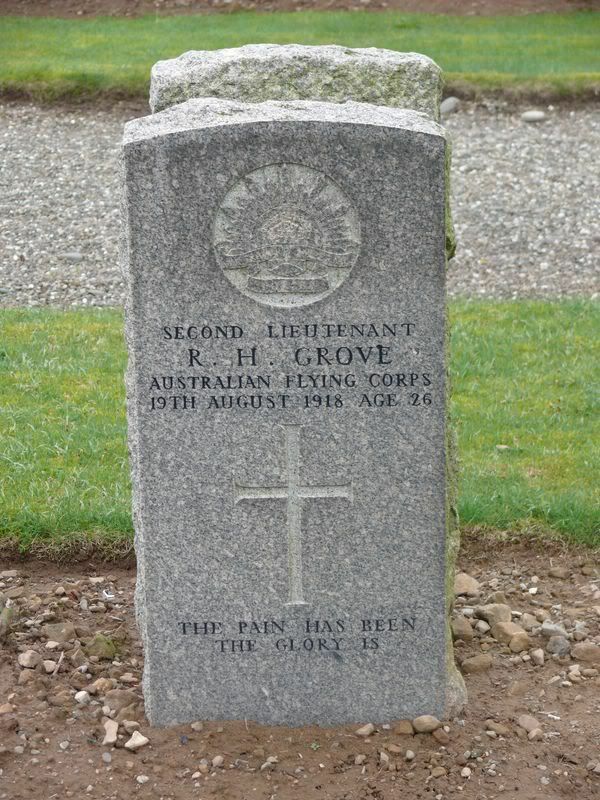 Additional information: Son of Joseph and Margaret Ann Grove; husband of M. I. Grove, of 21, James St., St. Peters, Adelaide, Australia. Born at Yarraville, Victoria. 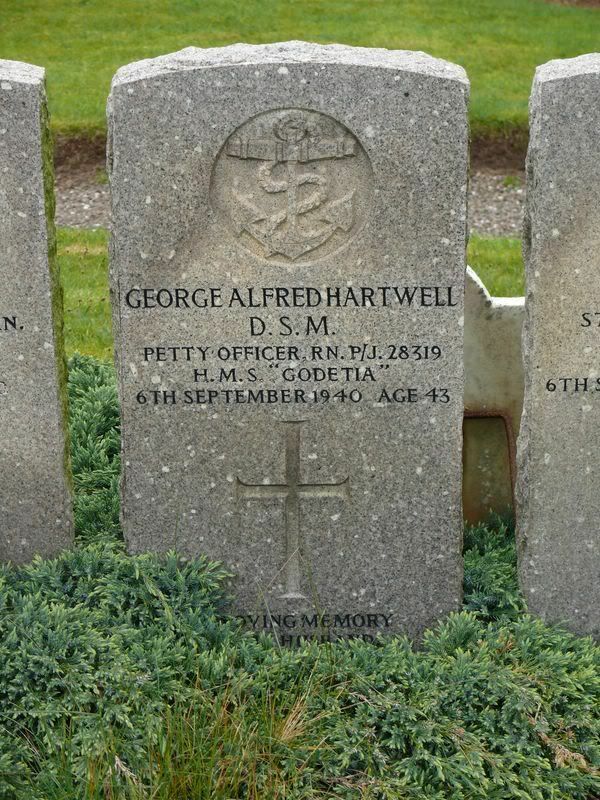 Additional information: Son of Alfred and Matilda Hartwell; husband of May Hartwell, of Blackfield, Hampshire. 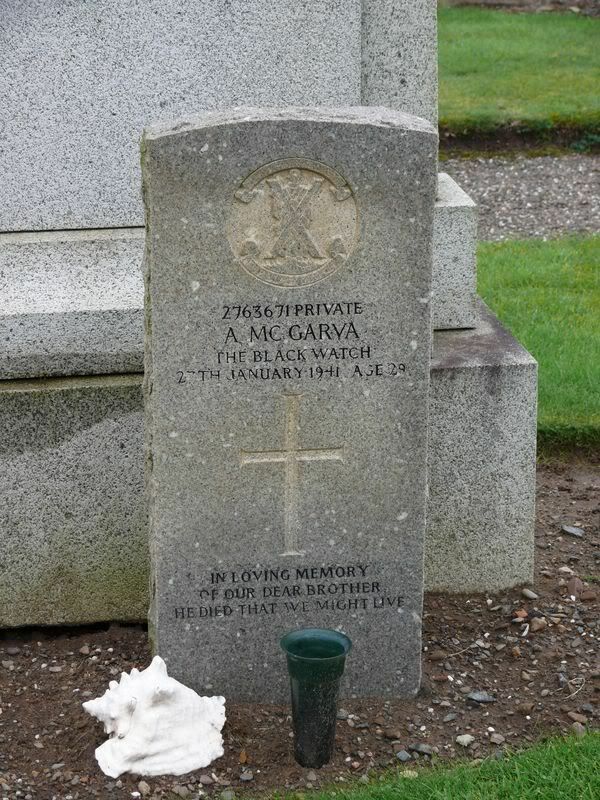 A single gravestone to a significant father and son. 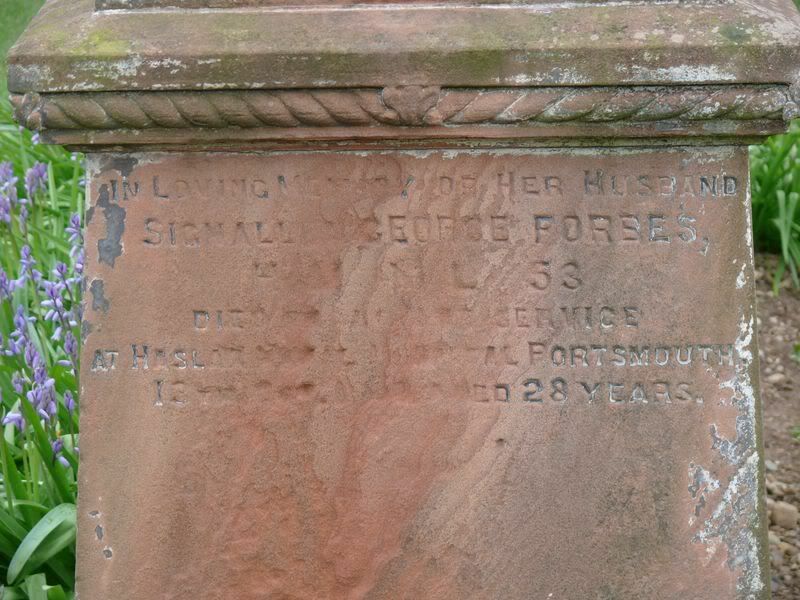 Also note that the father's body was repatriated in 1921. Additional information: Husband of Lady Henderson, of 17, West Eaton Place, London. 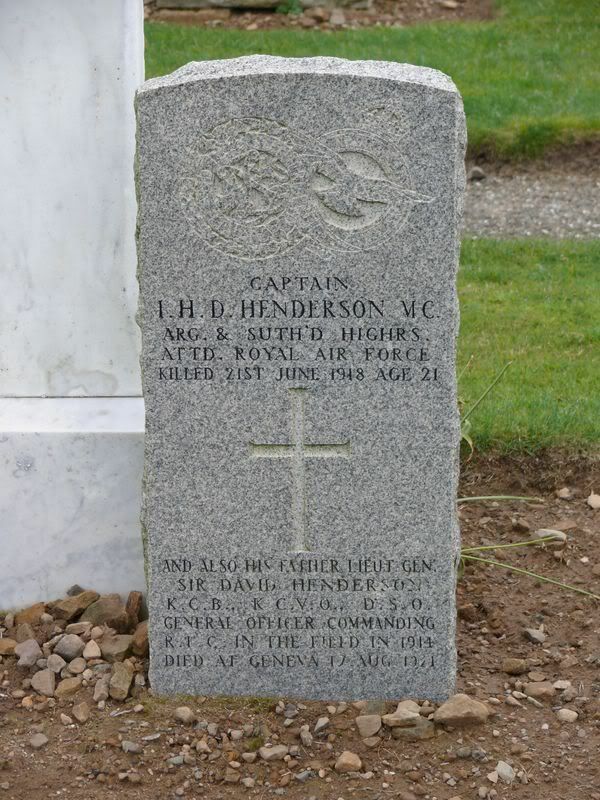 His son Ian Henry David Henderson also died in service. 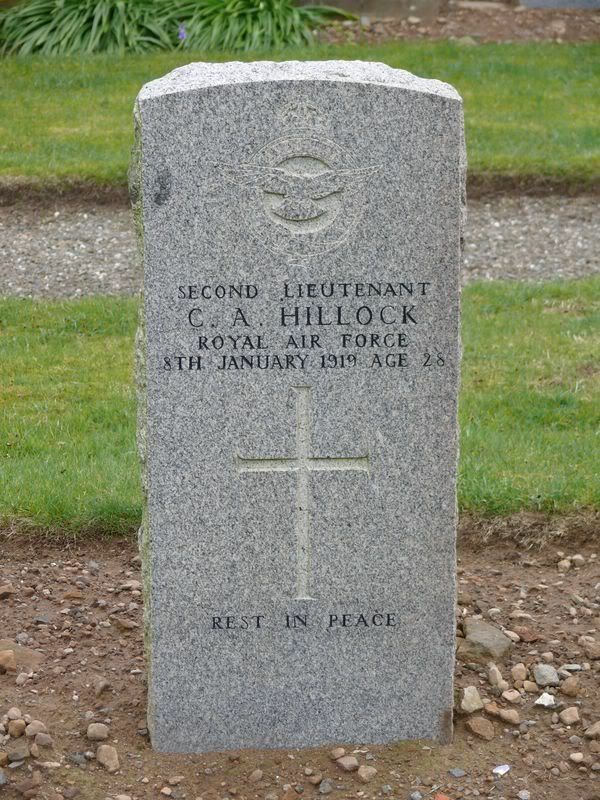 Additional information: Son of Lt. Gen. Sir David Henderson, K.C.B., K.C.V.O., D.S.O., and of Lady Henderson, of 17, West Eaton Place, London. His father also died in service. Additional information: Son of Alexander and Annie Hillock; husband of Marguerite Smith Hillock, of 259, Davenport Rd., Toronto, Canada. Born at Toronto. 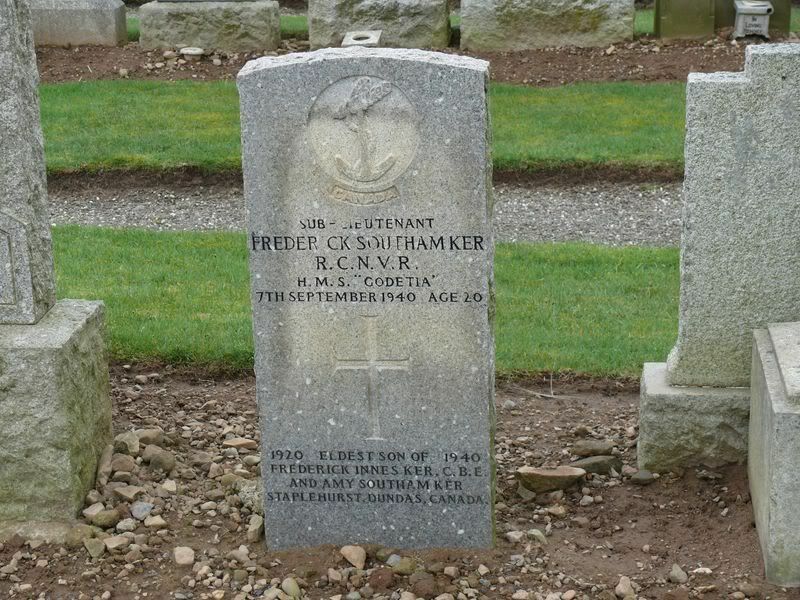 Additional information: Son of Frederick Innes Ker, C.B.E., and Amy Wilson Sutham Ker, of Dundas, Ontario, Canada. 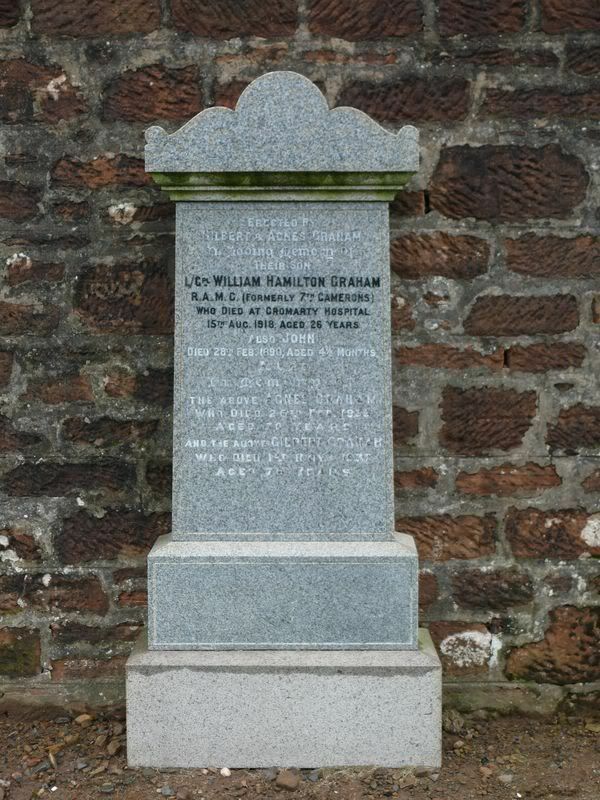 Grave/Memorial Reference: Sec. P. Grave 52. 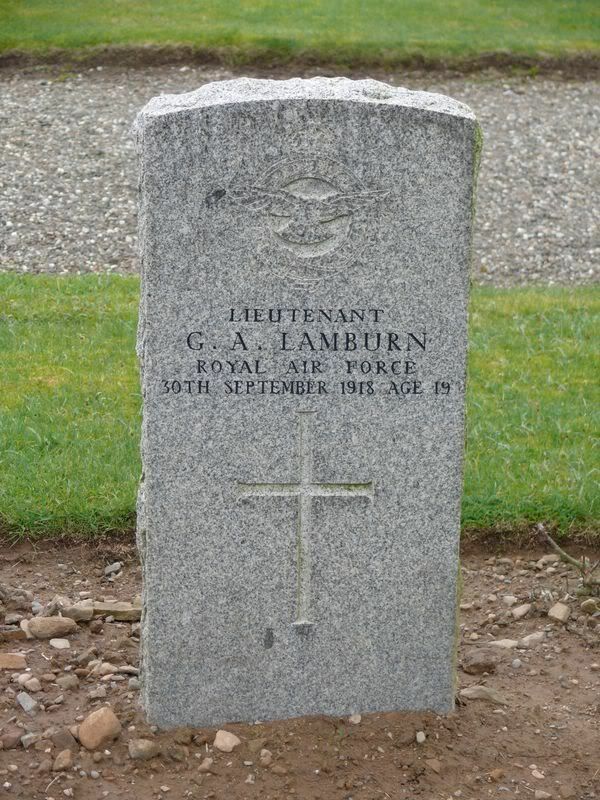 Additional information: Son of Frank J. Lamburn, of Chelsea, London. 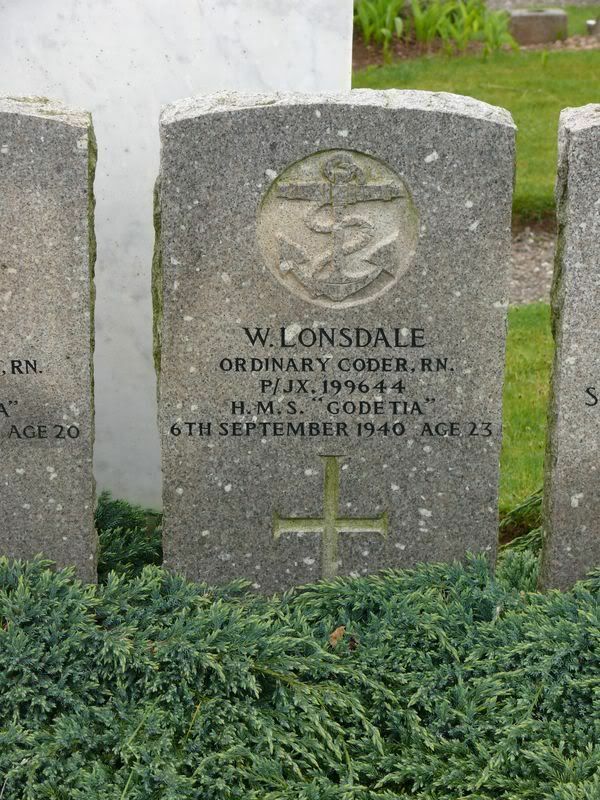 Additional information: Son of Richard Allen and Elizabeth Lonsdale, of Ripon, Yorkshire. 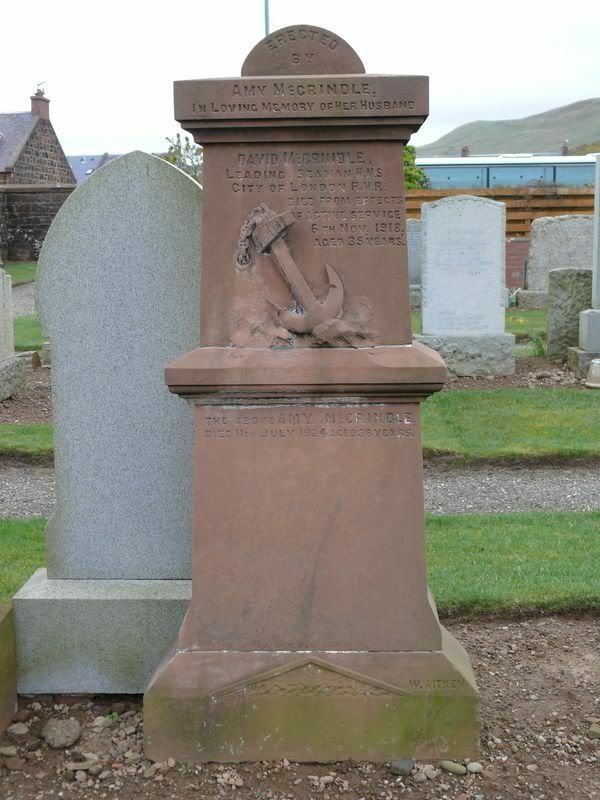 Corvette GODETIA (Lt Cdr G. V. Legassick RNR), which had been escorting convoy OA.207, was sunk in an accidental collision with steamer MARSA (4405grt), a straggler from convoy OA.209, three miles off Altacarry Head off Northern Ireland in 55‑18N, 5‑57W. Probationary Temporary Surgeon Lt A G. Bellamy MRCS, LRCP RNVR, Acting S/Lt P. D. Hincks RCNVR, Acting S/Lt F. S. Ker RCNVR, and eleven ratings were killed, and eighteen ratings were missing with the corvette. Leggasick, Probationary Temporary S/Lt D. M. Edwards DSC RNR, and about fifteen ratings were rescued. 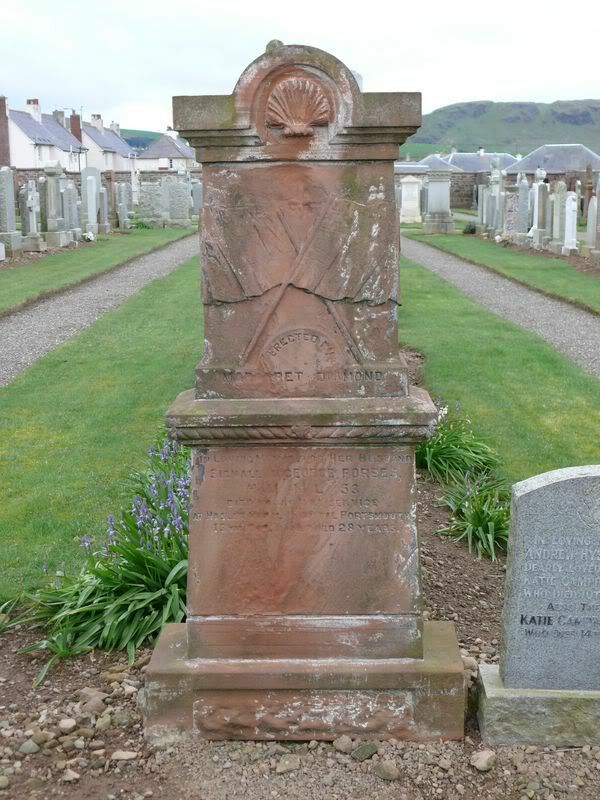 Additional information: Husband of Mary W. Morris Mackenna, of Kirkland, Largs, Ayrshire. Grave/Memorial Reference: West. A. 98. Secondary Unit Text: transf. to (356572) 18th Coy. Unit Text: H.M.S. "City of London." 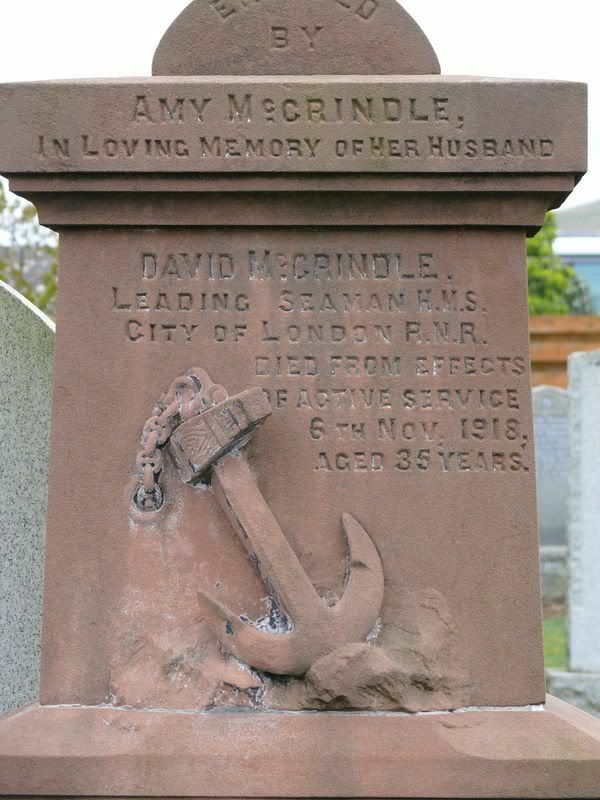 Additional information: Son of David and Janet McCrindle, of Girvan; husband of Amy Eliza McCrindle, of 20, Highlands Rd., Itchen, Southampton. 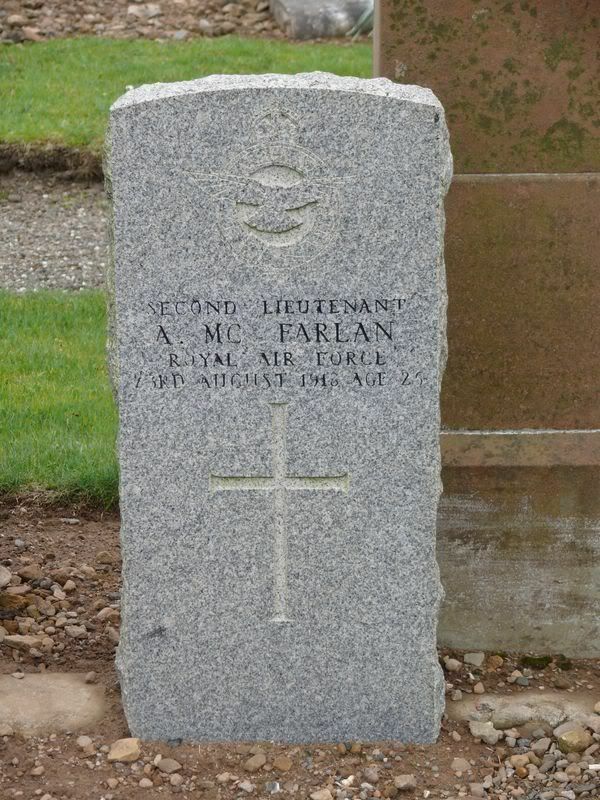 Additional information: Son of Archibald McFarlan; husband of Alice May McFarlan, of Mill House, Ballasalla, Isle of Man. Born at Castletown. Grave/Memorial Reference: West Div. Sec. G. Grave 604.